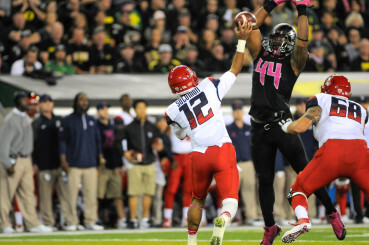 Only four of Oregon’s top 10 tacklers from the 2014 season will return to Autzen Stadium this year. Thankfully for Duck fans those four, Reggie Daniels, Joe Walker, DeForest Buckner and Rodney Hardrick finished 3rd-6th on that list. Along with their physical skill they bring leadership and experience to a defense that is still defining their style of play. 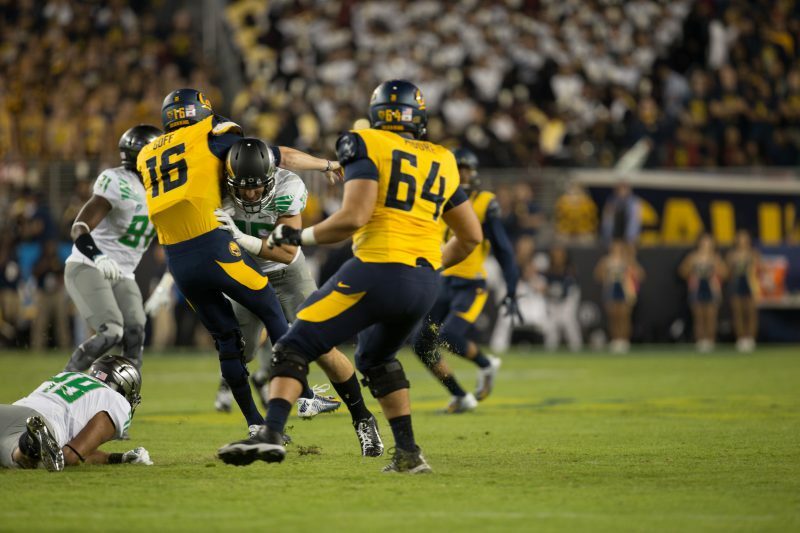 Daniels led the Ducks in solo tackles (62) and third with 83 total along with an interception and a fumble recovery. Breaking up nine passes and averaging 5.53 tackles per game as a sophomore should prove to be an excellent launching point for his 2015 campaign. Buckner is a threat all over the field for the Ducks. Both Walker, as well as Buckner, were touted by ESPN.com writer David Lombardi as part of Oregon’s three headed monster on defense. Both players finished just behind Daniels for total tackles with 81 each. To add to his team leading 13 tackles for loss, Buckner managed to break up four passes and force a fumble. Add into the mix Oregon’s biggest recruit Canton Kaumatule potentially playing alongside Buckner and the Ducks pass rush looks more formidable than ever. As Lombardi notes, the biggest question for the Ducks comes in the secondary where Troy Hill, Ifo Ekpre-Olomu, and Erick Dargan have left the stage open for rising stars. While some may still be questioning Chris Seisay, his performance last season should inspire confidence in fans. Stepping up when Ekpre-Olomu got injured, Seisay broke up four passes and forced a fumble in mostly mop-up duty over 13 games. The shoes may be hard to fill but Seisay appears ready for the challenge. Flying under the radar looking for a chance to break out is redshirt freshman Glen Ihenacho. Ihenacho was a member for the Ducks 2014 recruiting class and was ranked as the No. 70 safety in the country. Dargan’s departure has left the door wide open for the young safety out of California. With plenty of questions posed, the Ducks appear ready to answer all of them. Adversity throughout 2014 prepared a number of players for starting positions in 2015. Strong recruiting has given Mark Helfrich a deep pool of talent to draw from, as well as creating competition in spring camp. Expect to watch Oregon pick up where they left off and continue their winning ways.